B3-1 | 1 & 2 bedroom apartments for rent at Midwood Station. 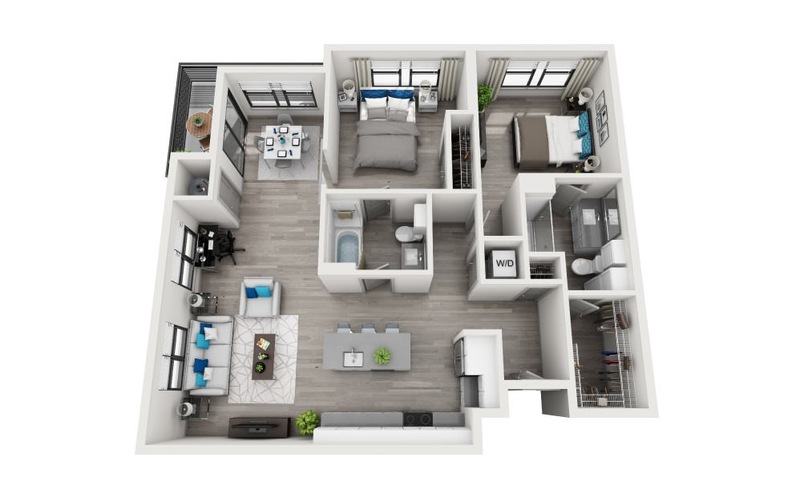 The B3-1 floorplan is perfect for anyone looking to entertain guests. The large living room and kitchen makes this apartment a perfect place to host friends and family.